Yoga nurtures my mind, body and spirit. Teaching yoga emerges from my education , career, enthusiasm for movement and spiritual path. My education includes a Masters in Occupational Therapy, Advanced Study in Motor Learning, continuing education and Certifications in Neurodevelopmental Treatment and Hand Therapy, allied with 17 years in Physical Rehabilitation and then 24 years in Hand Therapy on the North Fork and in NYC. During this time I was practicing yoga for 15 years and following the spiritual path of Buddhism. Movement, moving myself in space through yoga, sailing, cycling and helping others regain their ability to move and the study of movement has always been a great joy and challenge. Claire’s journey into yoga began in the mid-1990’s at the suggestion of a wonderful Amma Therapist, to whom she will always be deeply grateful. Her first teacher was Olga, a heart-centered, deeply compassionate and loving Hungarian woman whom she studied with for three years. From there her horizons broadened and she studied, and has continued to study, with a wide variety of teachers both near and far. What has always guided her is what she is called to, what speaks to, and resonates within, her. 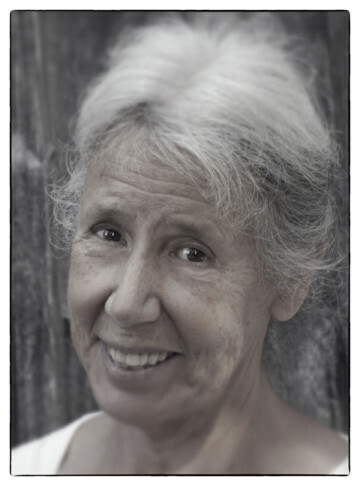 Her first Teacher Training was at Kripalu in 2000, followed by another in 2003 with Shiva Rea. Since then she has studied in a variety of settings and emphases with many extraordinary teachers. Each has informed deeply and allowed for her greatest teacher to be her daily, personal practice. The greatest joy and privilege for Claire is sharing this universal, transformational and exceptional practice in a way that is all-inclusive and accessible to everyone who seeks yoga. An eternal student, each day she comes to her mat feels like the first. For this, and everything life presents, she will always be truly grateful. Christine took her first yoga class as a teenager and was instantly hooked. Every asana, twist, bend and movement felt like home. She continues to deepen her practice through a mix of styles—Vinyasa, Iyengar, Restorative, Ashtanga. She lived and studied in Paris for a number of years before moving back to the States and becoming certified in Pilates, Gyrotonics, and Yoga. 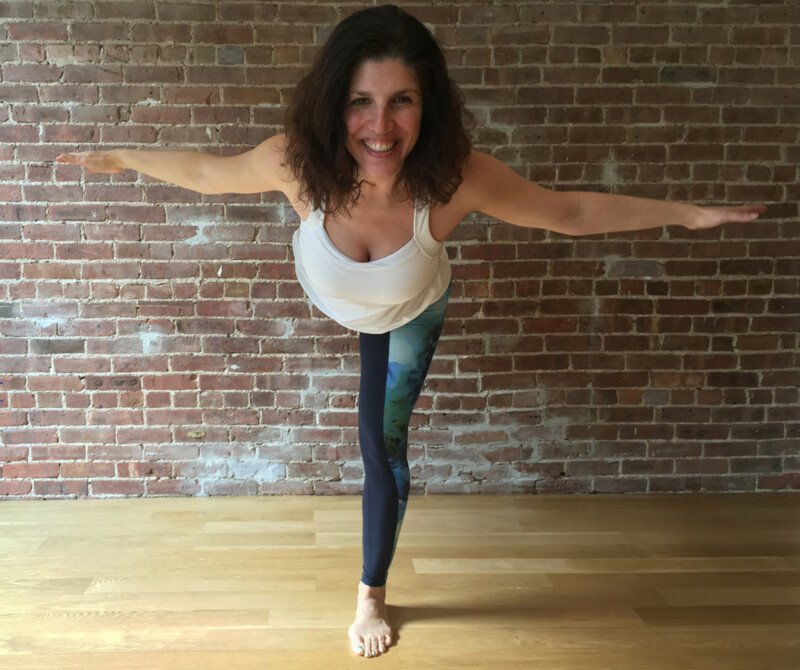 She teaches between New York City, the North Fork, and Miami and is certified at the 200 hour level from The Giving Tree Yoga Studio in Astoria, NY. Christine completed her 500hr OM Yoga Certification with Cyndi Lee in 2016. The heart of yoga for Christine is the fact that it is a constant practice in which, every day, every breath, every pose and sequence is a new experience. Being connected to one’s body through mindful movement is a commitment to wholeness and to honoring our true selves. She loves composing each class based on the requests and needs of the individuals present while encouraging the balance of ease and strength. Jill Griffin-Hughes, Founder of FlourishAromatherapy.com is a certified Clinical Aromatherapist and Educator, certified through The New York Institute of Aromatherapy (NYOIA), The School for Aromatic Studies and the National Association of Holistic Aromatherapy. She received her 500 Certified Aromatherapy Teacher Training (500 CAT) through NYIOA. 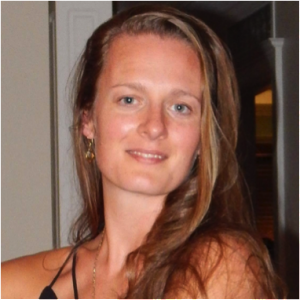 She attended the Institute for Integrative Nutrition and is a certified health practitioner through SUNY Purchase. After experiencing a head injury in 2002, she intuitively knew that she had to become a partner in her own treatment. Drawn toward integrative health, she has spent the last 15-years utilizing a whole-body approach to complement allopathic medicine. Today, she is recovered ~60% of her vestibular system function and is grateful beyond measure. Jeannette has been a devoted yoga practitioner since 1998. Moreover, she has been practicing with the lovely Claire Copersino since 2001. Jeannette discovered kids yoga after attending classes with her daughter and loved every single minute of it! 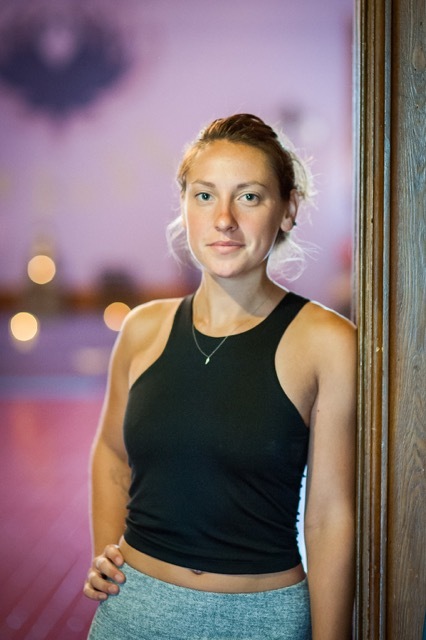 With a love of music, movement and children, Jeannette completed her training at Karma Kids Yoga, in 2013 certified to teach children ages 1-12 years old. She believes that sharing the practice of yoga with children early on gives them a valuable “toolbox” that will grow with them throughout their lives. Jeannette holds a BA in Communications from Adelphi University. She worked in advertising for 12 years as a video editor cutting commercials and corporate videos. During this time, she discovered the practice of yoga. It was exactly what her body needed after sitting in a static position for many hours a day. She became hooked and knew this was something she’d be doing for the rest of her life. Jeannette feels blessed to share her love of yoga and to be teaching children yoga! She loves to sing, be goofy and play! Her favorite yoga poses is Virabhadrasana 3 or Warrior 3, because it makes her feel strong to balance on one foot. It’s also a really great way to get to an exciting yoga adventure. Jeannette looks forward to seeing you and your kids on the mat! 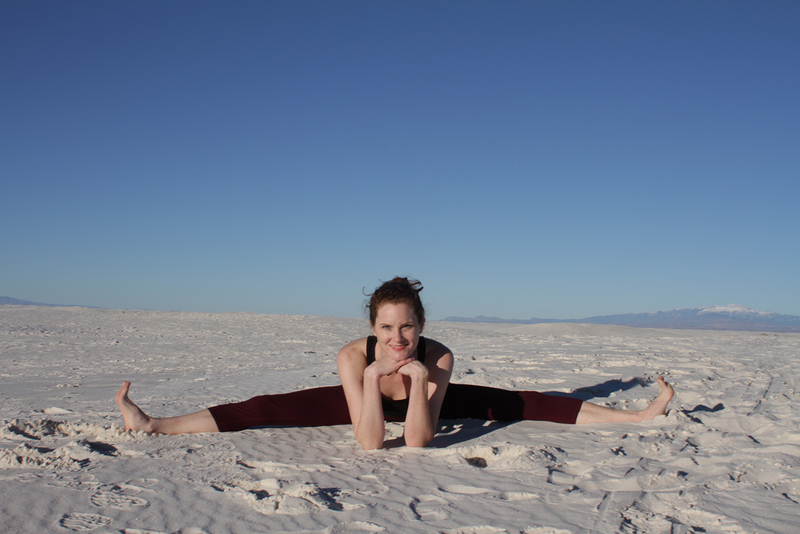 Iris began practicing Iyengar style yoga with Rosemary Martillota in 2005, shortly after returning from nine months of international mission work. In 2008 she graduated from the Institute of Integrative Nutrition as a Holistic Nutrition Counselor. After realizing her passions for health and healing through the use of whole foods and nutrition, she discovered her love for naturopathic medicine, including herbal and homeopathic practices. She studied both under the guidance of Peeka Trenkle at The Open Center in Manhattan, New York. Iris’s studies continue to this day, currently perusing a Degree in Naturopathy. Concluding that her love for Yoga played an valuable role in her personal health and well being, Iris became a certified yoga instructor to be able to further provide self-healing practices to her clients and community, allowing them to use inner wisdom as their guide. In 2013 Iris travelled to Costa Rica to study under Marianne Wells. Also influenced by B.K.S. Iyengar, Marianne guided Iris to teach Hatha yoga in a way which focuses heavily on alignment in each posture. This self examination in each posture allows the student the opportunity to bring each pose further in a gentle way. The self knowledge of alignment further assists the student in carrying themselves through daily life. Of late Iris has taken a special interest in using yoga as a therapy in recovery from addiction, bringing the Yoga of 12-Step Recovery program to the North Fork. This program is used to move trauma through the body as it reprograms neuro-pathways, so the student can use yoga practice as a tool for relapse prevention. The diversity of Iris’s education and training makes her uniquely qualified to guide people to perfect health. Meg Camanzo, is an avid adventurer and lover of the sea and has been studying yoga for seven years. Her yoga philosophy is “Yoga is for every BODY and everyone”. If we can breathe we can practice yoga. Meg teaches yoga in a way that makes it accessible and challenging for each student. 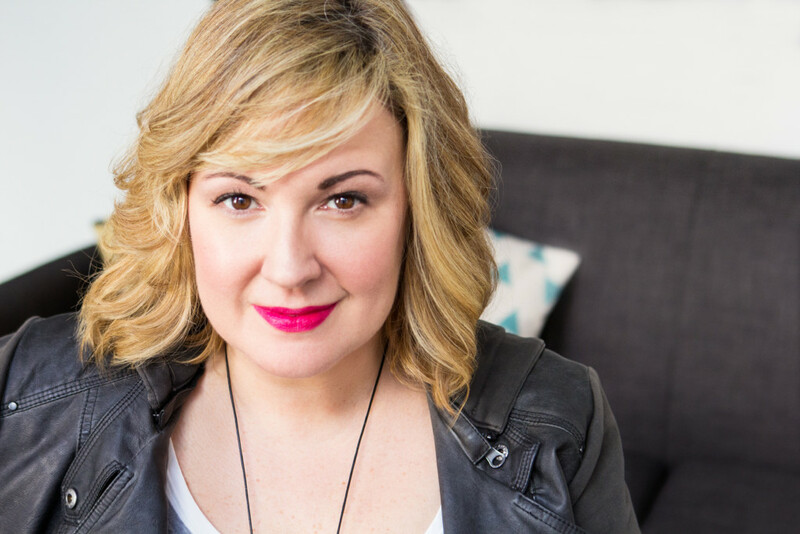 She focuses on fostering intuitive knowledge on the alignment of our own bodies and how to create a practice that best serves us. She believes that yoga is a journey that doesn’t end when we step off our mat, and rather, is part of each moment in our daily lives. She received her Hatha RYT200 from Open Sky Yoga in Rochester with Francois Raoult who decends from the Iyengar lineage. Meg has traveled and practiced yoga and the movement arts all over the world including Sri Lanka, New Zealand, and Costa Rica. In Costa Rica she attended CAMP, (Cooperative Arts Movement and Play). There she learnt how important it is to incorporate a playful attitude into our lives. As adults we lose the desire to play and experiment with our bodies and others mostly because we become overly concious of how others view us. So, expect lots of play and laughter when you are in Meg’s classes. Meg loves water and finds peace when ever she is near it. She spends her spare time paddle boarding, snorkeling, cleaning up local beaches, writing, dancing, and making art. We are all divine beings, and everything we desire is within us. 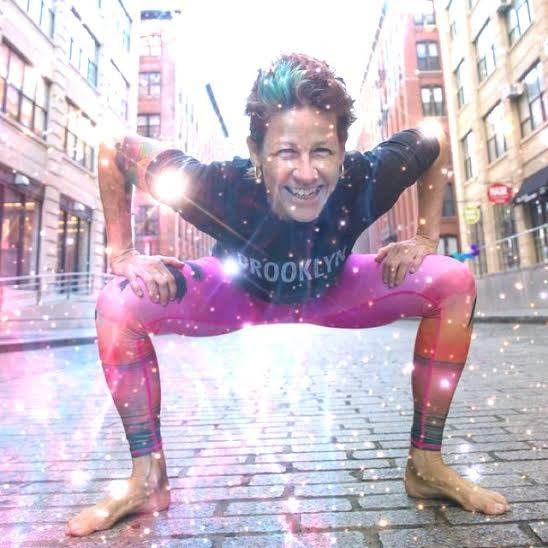 Dana Trixie Flynn is a “teachers teacher”, celebrated for her raw and generous spirit and uplifting, innovative and soulful Lotus Flow style of Yoga. This year marks her 25th year of teaching and her favorite thing about yoga is the YOGIS. Huck Hirsch is a former dancer who first embraced yoga as a way to keep his expressive spirit moving after he stopped performing. That initial passion of transference led to a broader interest in the service of yoga as a means for deepening the human experience, if not making it better. His teaching methodology draws from extensive training in Anusara and AcroYoga, colored by life experiences as a performer, writer, artist, partner, brother, friend, son. Huck has taught asana and partner yoga workshops from coast to coast, in Hawaii, Norway and Mexico and is looking forward to serving the dynamic NorthFork yoga community as a recently transplanted local. In the fall of 2007 Wades love affair with yoga began. Originally, approaching the yoga practice as a way to stay in shape over the winter months, Wade came to realize that there was more to this ancient and mysterious practice than just poses. 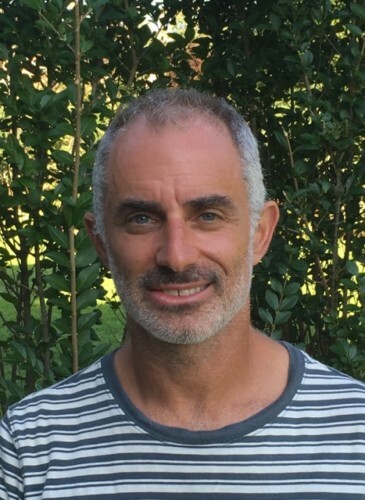 At the urging of his first teacher, Katherine Alesio, Wade enrolled in the Yoga Shanti teacher training program under the tutelage of Rodney Yee and Colleen Saidman. It was in this training Wade was introduced to a much deeper level of all eight limbs of Yoga. Wade also has had the privilege to study under Richard Freeman , Heidi Fokine and most importantly Richard Rosen. It was through Rosen that the pranayama work became paramount and continues to be a source of exploration. Upon completing his first 300 hour training he jumped in with both feet to teach. Subsequently, Wade completed another 200 hour training under Heidi Fokine and looks forward to more training augmenting his teaching abilities. Wades goal is to make the art of Yoga accessible to folks who might not otherwise consider it. 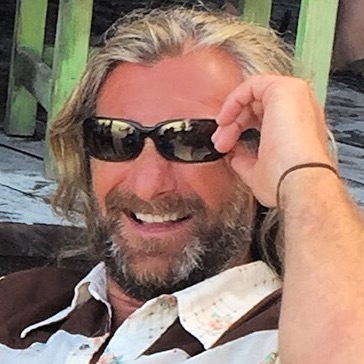 A native to the North Fork , Wade grew up as a commercial fisherman on the Long Island Sound and is all too familiar with the rigors of hard labor and how in affects the body , mind & spirit. Using a the eight limbs of Yoga in totality, he hopes to help people who currently have or have previously had the same experiences. Graduating in 2008 from StonyBrook University , Wade is a recipient of a New York state secondary education teaching degree and bachelors degree in history. He has also completed classes at the Lee Strassburg school of acting and has some 30 years of stage experience . Wade is very honored to be part of the Yoga Shala family and looks forward to sharing the practice! Rebekah Smith completed her 200 hour Kula yoga training in October 2016. Kula yoga is a more modern school of yoga, a combination of Astanga and Iyengar. Her Kula flow hour has an emphasis on creativity and alignment. The class is all guided by a steady conscious breath to tone and calm the mind. She has a passion to not only teach yoga but to also keep learning and expanding her understanding of the practice. 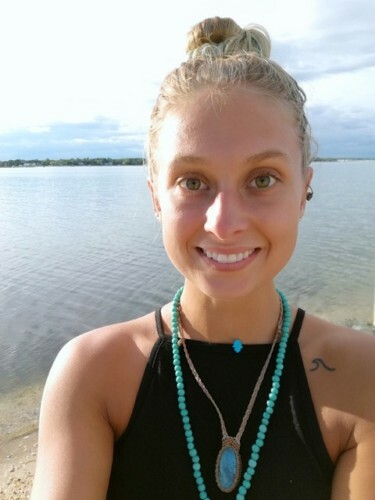 Her dream is to create an awareness about the positive effects mindfulness, yoga, and nutrition can have on peoples’ physical and psycho-social being. 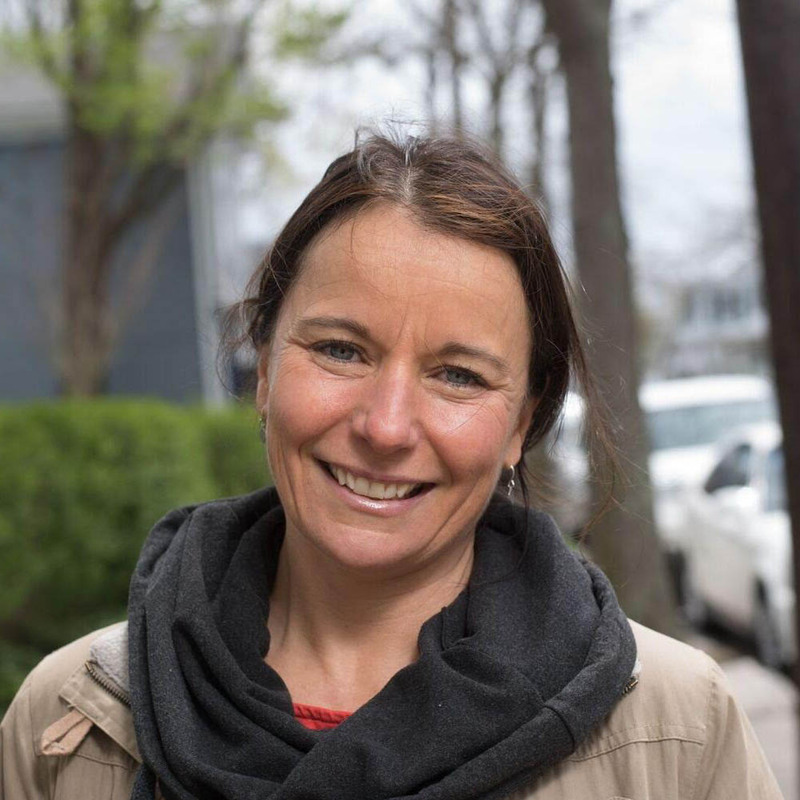 She follows this dream by taking classes through the Mindfulness Schools, teaching at the Peconic Community School, becoming a Wkids coach, and taking a 300hr Integrative yoga therapy training this summer. Rebekah Smith loves her North Fork community and cannot wait to share all her knowledge with the people she loves. After all Kula means community of the heat, so it all fits! !